Ethan Ringer is one of your co-chairs and is extremely excited to help staff your committee! Ethan is a sophomore who outside of Model U.N. shows his interest in politics and current events by being involved with clubs like Model Congress and debate. In his free time, he likes to watch T.V. and movies as well as occasionally volunteering at his local library. Isabelle deBruler is one of your co-chairs and is very excited to make this committee happen! She is a junior who, along with Model UN, also participates in other academic clubs like debate and Future Problem Solvers. Outside of school, she volunteers at a hospital and plays the piano in different competitions, chamber ensembles, and orchestra. In her free time, she loves being with her dog and catching up on the latest figure skating news. Henry Cutright, a junior, is looking forward to co-chairing for De Beers at GSMUN XXI! Henry has participated in Model UN since the eighth grade and attended GSMUN as a delegate, crisis staffer, and vice-chair in the past. Outside of Model UN, Henry is involved in Russian Club, Quiz Bowl, the Richmond Friends of the Community Club, and enjoys volunteering at the Richmond SPCA. He also has a passion for music, design, and photography, which he explores in his free time. Yashnoor Sandhu is a senior and is thrilled to be a co-chair for the De Beers Committee. This is her fourth year in Model UN. Aside from Model UN, she participates in Future Medical Professionals, Spanish Club, German Club, UNICEF Club, Bhangra Club, and she plays tennis for Maggie Walker. In her free time, she enjoys baking and doing volunteer work. Yashnoor’s ideal day would include playing with her dog and watching Netflix. She is looking forward to some engaging debate and wants to remind you to bring money to donate to this year’s charity! Catherine is a senior at Maggie Walker and has been a part of Model UN for the past three years, serving previously as a crisis staffer, vice, and chair. Additionally, Catherine serves as secretary of Gender and Sexuality Alliance, treasurer of Young Democrats, and treasurer of Music Orchard. Outside of Maggie Walker, Catherine enjoys photography, playing the trumpet, and volunteering at Shalom Farms. Emily Dai, a senior, is thrilled to serve as co-chair of this committee. This is her fourth year as a member of Maggie Walker’s Model UN Club, and her third time chairing for GSMUN. Outside of Model UN, Emily is also president of National Art Honor Society and National English Honor Society, chairs for Model Congress, and runs indoor and outdoor track. In her free time, she enjoys creating art and watching Parks & Rec, and is also passionate about presidents, politics, and public transportation. Connor Webb is a junior at Maggie Walker who has been delegating at Model United Nations conferences at William and Mary, University of Virginia, and Old Dominion University since 8th grade. He is also an active member of the robotics team and the scientific debate club Pugwash. In his free time, he enjoys reading, hiking, mountain biking, and kayaking. Rahul Ramesh is looking forward to co-chairing the Operation Restoring Hope committee this year! He is a sophomore and has experience with Model UN since 6th grade. This will be his first time chairing a committee though he was a crisis director at GSMUN last year. Beside Model UN, Rahul enjoys playing all sorts of sports including soccer, tennis, volleyball, and anything else he can find time for. He also loves music. Rahul plays the bassoon for the Richmond Symphony Youth Orchestra and is pretty much always listening to music anytime he isn’t in committee or playing sports. Adriel Barretto is a sophomore who has been involved in Model UN since 8th grade and is thrilled to be your co-chair for GSMUN XXII! He enjoys participating in Model UN and has been a vice chair once and a chair twice. In addition to Model UN, he also participates in Debate, plays in chess tournaments, and is also involved in Investment Club. In his free time, he enjoys watching Netflix and spending time with his family. Senthil Meyyappan is also a Sophomore who has participated in Model UN since 8th grade in his visit to GSMUN himself. He enjoys public speaking, debate, current events, science, and EVERYTHING associated with French. Senthil enjoys spending time with his friends be it at the movies or at the field playing football and playing with his 3 year old labradoodle, Thor. He is eager to meet the delegates and provide an environment of thoughtful discussion on South African politics. Daniel Xue, also a junior, has participated in Model UN since freshman year. In addition to MUN, he can frequently found working in the electrical subteam of FRC 422, the local robotics team, and practicing Quizbowl, in which he also specializes in world history. 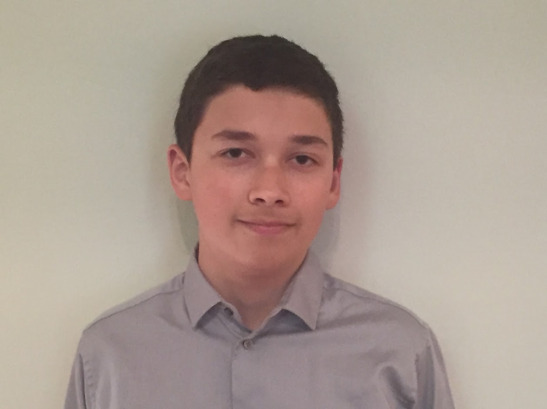 He also enjoys playing the tuba or guitar in school ensembles, and in his free time, he enjoys playing Civilization 5 and other grand strategy games with his friends and family. Luis Canseco-Lopez, who’s a junior, had been a part of Maggie Walker’s Model UN since freshman year. Although passionate and fully committed to Model UN, Luis can be found constantly hanging and chilling out with his friends while procrastinating over tests or quizzes he has the following day. In his spare time, Luis loves to play soccer and gets competitive at times, loves researching conspiracies theories and debunking some of them, and enjoys playing Fortnite and Rainbow Siege Six on his PC or Xbox with his brother or friends. Jaideep Damle is a senior at Maggie Walker, and he is most ecstatic to be co-chairing UNSC this year. He has been involved with GSMUN and the Maggie Walker Model UN club ever since his freshman year, and also participates in Model Congress. Jaideep also runs cross-country and is also the President of the Kids Are Scientists Too Club. In his free time, Jaideep loves reading comic books and watching Netflix. Uzair Bhatti, a sophomore at Maggie Walker, is excited to co-chair UNSC this year. His involvement with Model UN goes back to 8th grade. He loves attending Model UN conferences and participating in GSMUN. Model Congress, Arabic Club, and Spanish Clubs are other clubs Uzair is a part of. He enjoys basketball, soccer, and watching TV shows in his free time. Angela Stefanovska, a senior, is excited to conclude her involvement in GSMUN as one of your co-chairs for Press Corps. She has attended GSMUN as a delegate, vice-chair, and co-chair in the past. Outside of Model UN, Angela is involved in many clubs and honor societies, but she enjoys playing both school and club volleyball the most. Ross George, a sophomore, is thrilled to move away from the traditional committee into the much more interesting and exciting world of the press. He has been involved in various Model UN conferences as both a delegate and a vice chair, and is excited to finally be a co-chair for a committee. He is involved with a few clubs and enjoys running track.